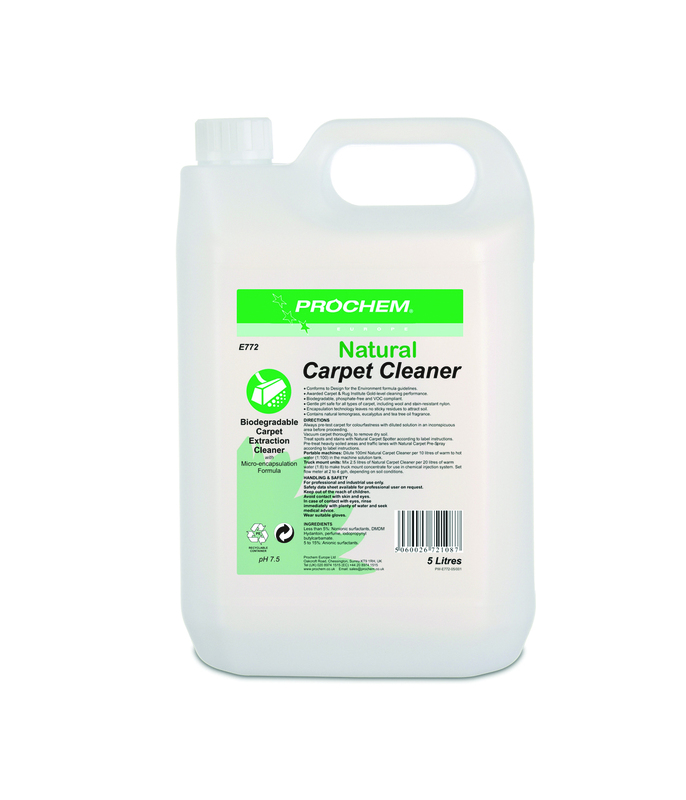 Prochem`s carpet extraction cleaning concentrat with encapsulation technology and gentle pH, for cleaning most types of carpets and rugs. Awarded Carpet & Rug Instiute Gold-level Cleaning performance when used with Natural Carpet Prespray. WoolSafe approved maintenance product for Carpets & Rugs. We offer free UK delivery on orders over £50 + vat.